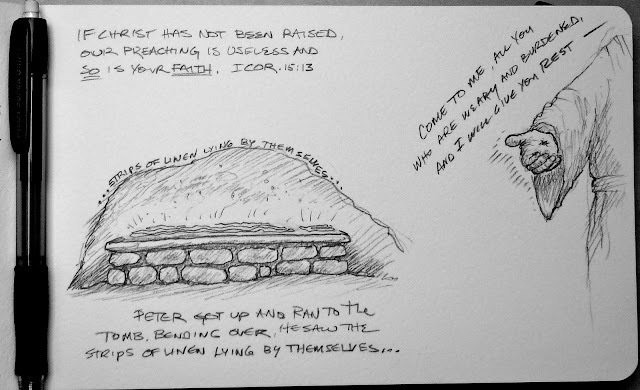 Pastor spoke on the power of the resurrection extending all the way to me. It's like the power generated by the Hoover Dam extending all the way to Los Angeles. 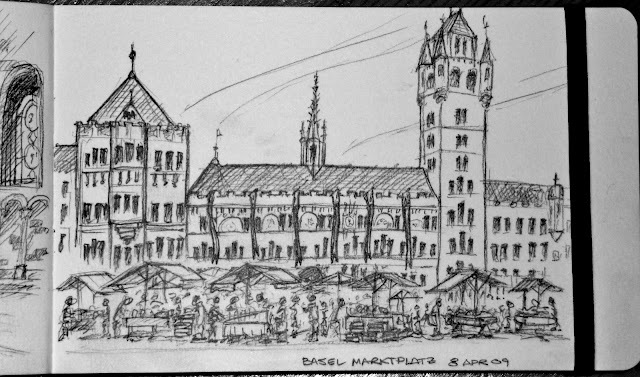 This was a drawing done at the Marktplatz in Basel, Switzerland. Everyday they have a market (foreground) in front of the Rathaus (background). It's great. The Rathaus itself is a stunning building. You gotta see it in real life. Click. I loved the long flags hanging from the building waving in the breeze. 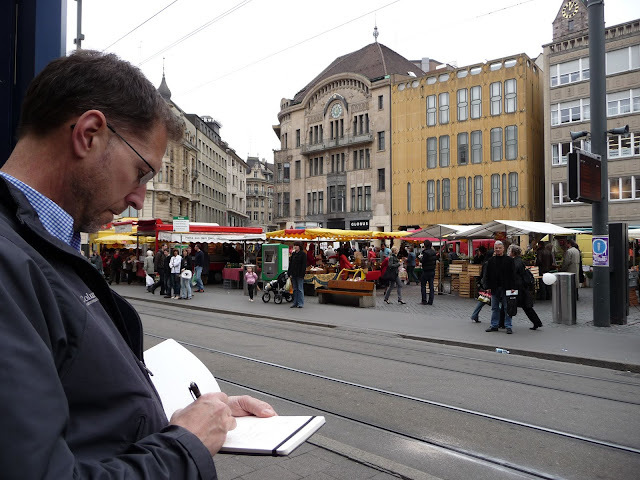 Sandee took a picture of me sketching by the tram tracks. It's funny how people try to get near you and take a peek at what you're drawing. The Rathaus is just to right of this picture. 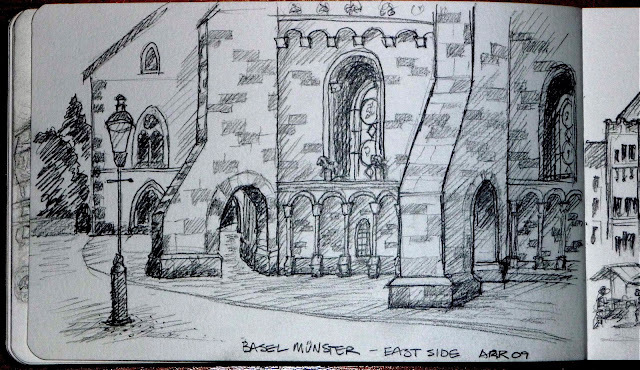 Later, after the above, I walked to the Muenster and sketched the back side of cathedral. Again, people try and get close to see what I'm drawing. I'm kinda shy about having strangers look at my drawings especially before I'm done. 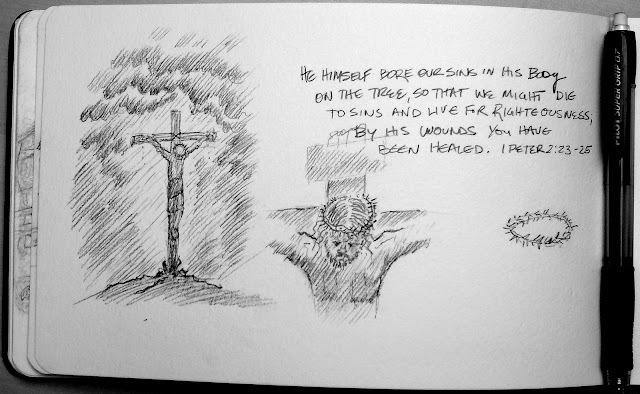 Full page from my Moleskine sketchbook. 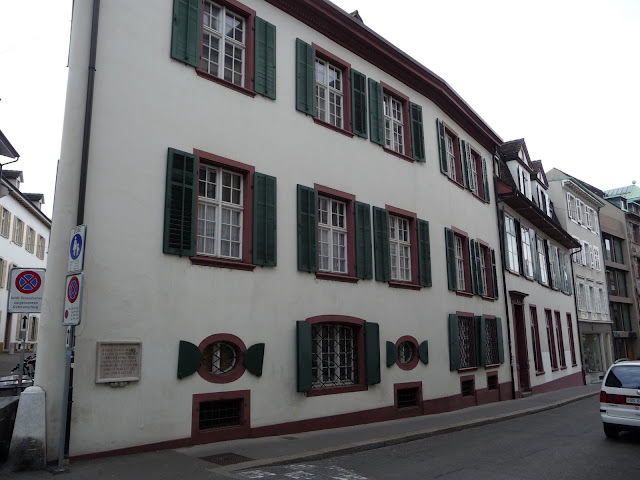 Today I found the "Erasmushaus" in Basel. 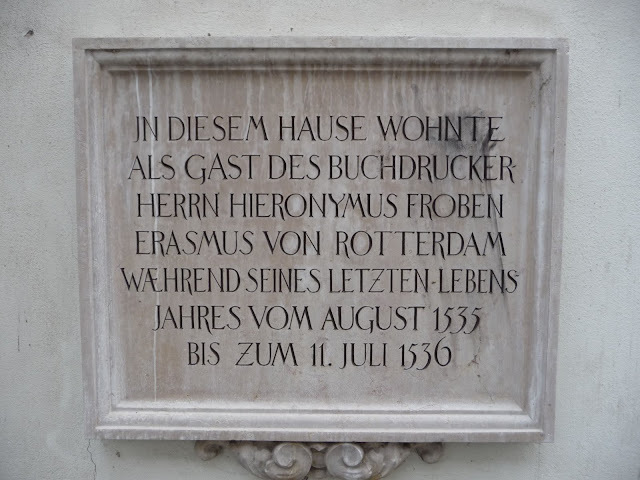 As the sign says, Mr. Hieronymus Froben Eramus von Rotterdam lived here as a guest from 1535 to 1536 spending his last days in this house. Erasmus was a great Theologian and Christian educator. 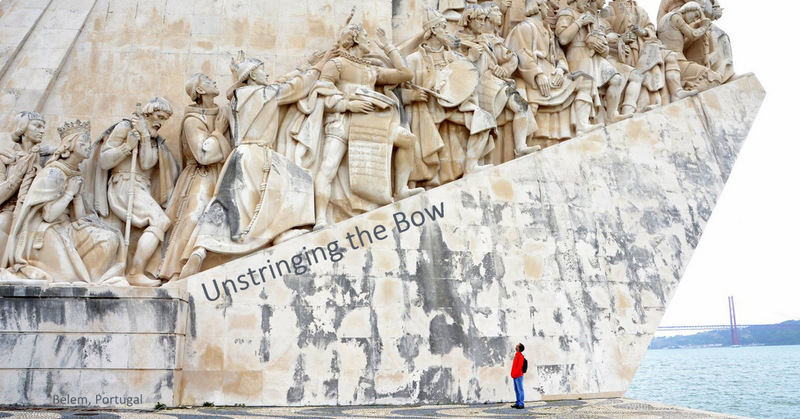 I've written and quoted Erasmus in the past. 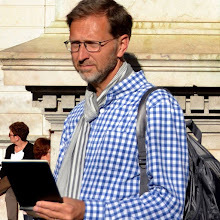 Click here to learn more about Erasmus.